The WetCare system, designed by Miele, is a much-awaited alternative to dry cleaning. This +careplus system is as gentle on garments, as it is to the environment and capable of cleaning almost every kind of fabric. 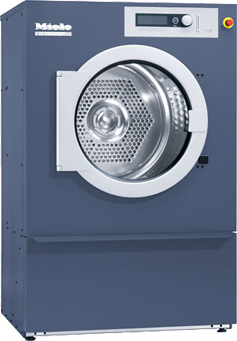 It uses highly sophisticated washer and dryers to safely clean all articles of clothing that normally are dry cleaned. 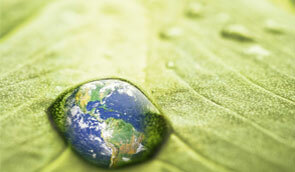 Wet cleaning uses water and a safe biodegradable detergents to give its incredible results. The wet cleaning process is the most effective way to remove water based stains and odours, ensuring clothes are not only truly clean, but fresh smelling, without the use of toxic chemicals. The washing cycle uses 30% less water than coventional machines and can clean at as little as 20º, reducing energy consumption by 50%. 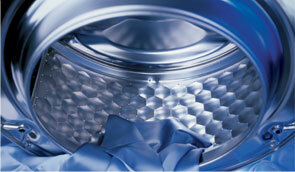 Miele's Wetcare system provides perfect protection for the fabric and for the environment. Miele Professional WetCare™ washing machines are the first choice of contract cleaners, dry cleaners, and laundries. Miele's market-leading washers work beautifully with Kreussler Lanadol™ cleaning agents, and Renzacci UK equipment, too. Miele Professional WetCare™ washing machines are the first choice of contract cleaners, dry cleaners, and laundries. 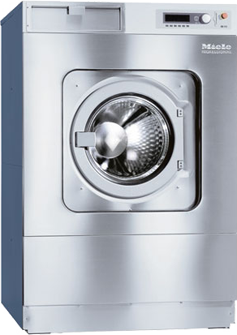 Miele Professional WetCare™ Dryers are the first choice of contract cleaners, dry cleaners, and laundries.